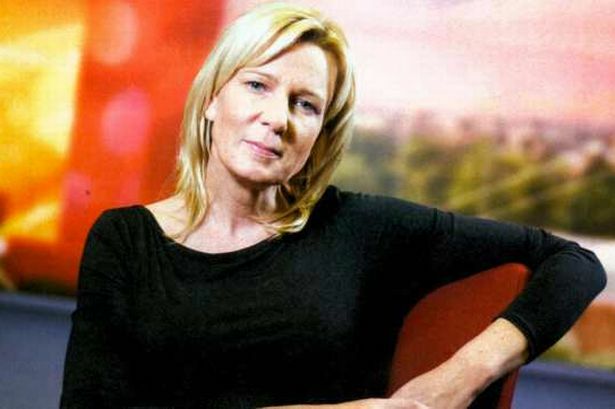 BBC colleagues have been paying tribute to Alison Ford, the BBC Breakfast editor who oversaw the transfer of the programme to MediaCityUK, who has died after a long battle with cancer. Mary Hockaday, the head of BBC newsroom, announced her passing in an email to staff this morning. She leaves behind two children and a partner, Martin. Describing her as a "wonderful and passionate editor of Breakfast", she said: "She inspired her team and all her colleagues with her editorial spirit and flair, and complete commitment to Breakfast's audience. "She successfully led Breakfast to Salford and was an important senior figure in the newsroom and before that English regions. She also inspired us with the valiant way she tackled her illness. We will miss her hugely." Tony Hall, director general of the BBC, said he was "so sorry", adding that Ford was a "a brilliant editor, who led Breakfast with real flair, creativity and ambition". Ford joined the BBC in 1991 as a trainee reporter after studying for a degree in English Literature at Liverpool University. Three years later she moved to Carlton TV as a producer for Central News before re-joining the BBC as editor of Midlands Today in Birmingham. She went on to become head of BBC East Midlands and UK news editor, BBC Newsgathering. Radio 5 live presenter Dominic Laurie was among those to leave tributes on Twitter, saying: "A few weeks ago Alison gave me some encouraging words. It meant an awful lot. She was both kind and firm. A class act." BBC TV news editor Rachel Kennedy described her as a "wonderful colleague, boss friend & a great laugh", while former 5 live controller Adrian Van Klaveren said she was "wonderful to work with and a lovely person".